In 1993, the District purchased its first “Omni- Eye” camera to remotely video inspect the nearly 300 miles of District sewer line. It takes about two and a half years to inspect all of the District’s lines. 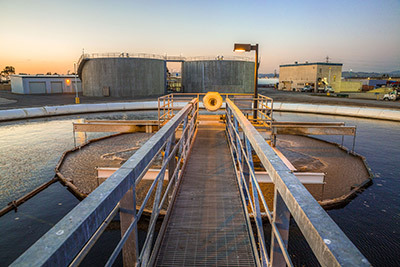 The information collected has allowed Oro Loma to design cost-effective rehabilitation and replacement programs, including the completed Lewelling and Bayfair trunk sewer line projects. 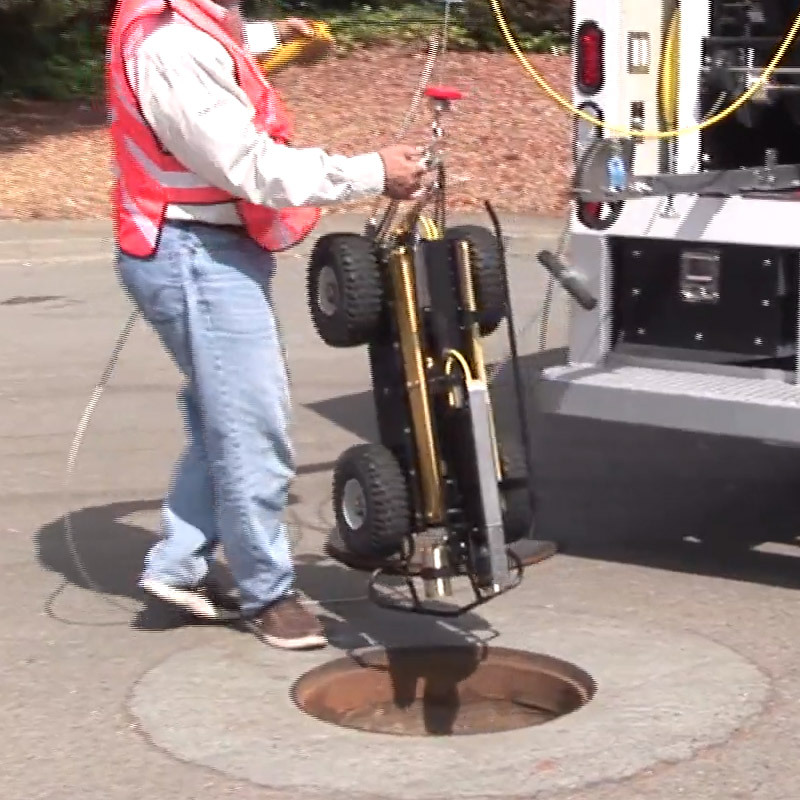 To inspect a pipe, the camera must either be pushed in front of cleaning equipment or it must maneuver on its own through the line. 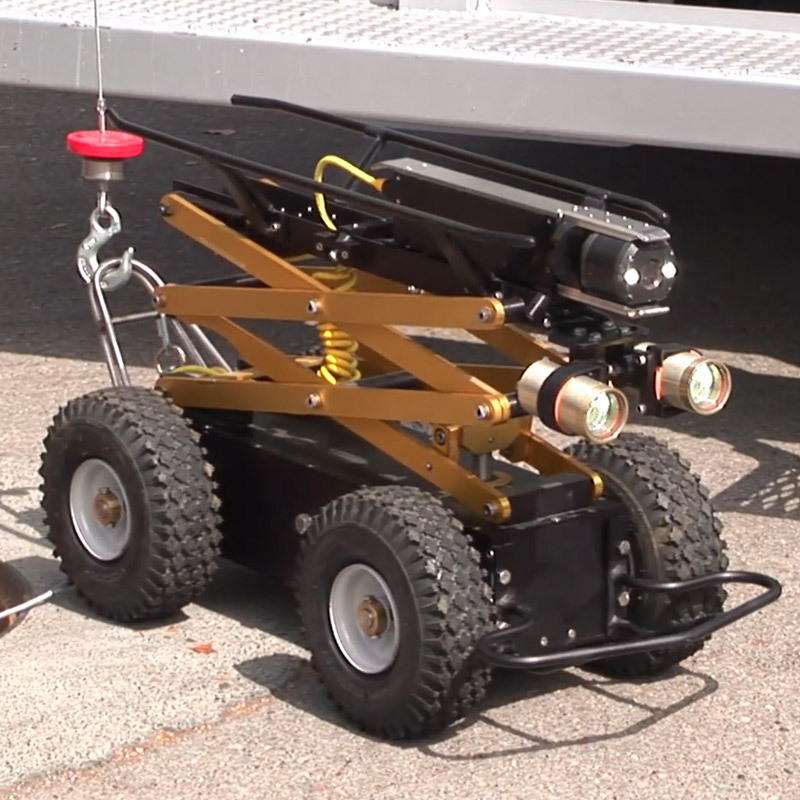 Until recently, it has been difficult to inspect larger pipes up to 66″ in diameter, since the camera could only operate on the bottom of the pipe. That problem has been solved with the addition of a new, large-diameter, four-wheel-drive, remote-controlled tractor. This tractor has a scissor mechanism that raises the camera up to the top of the pipe above the flow line. In addition, the District has upgraded the software that analyzes the information gathered by the camera. The video can now be digitized so that individual images and short clips can be incorporated into an inspection report. The report includes not only printed stills of the pipe, but also descriptions of the line’s condition and detailed locations of each inspection site. The information is added to a database so that after an inspection is complete, the District will have a complete picture of the system’s condition and will be able to access the data by, among other things, date, address, map coordinates, and operation performed. The new tractor and software program join the District’s other top-of-the-line preventative equipment that includes a rodder (a giant roto-rooter that clears pipes of roots and other debris) and three hydrojetters (giant water jets that clean the lines). A crew of seven operates all of this equipment. The tools, however, would be useless without the crew’s expertise and dedication.